Kyanite is a very rare gemstone, especially in this fabulous gem quality blue colour. 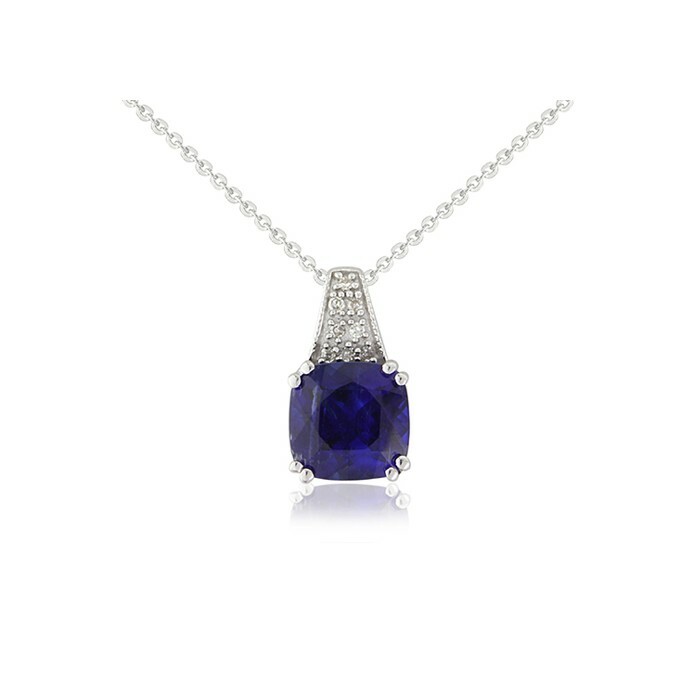 It can be remarkably similar to top quality sapphire, but without the high price tag due its relative obscurity. It is not quite as hard as sapphire, but that&apos;s not a problem as this pretty cushion cut kyanite and diamond pendant will not get as much wear as a ring stone would. 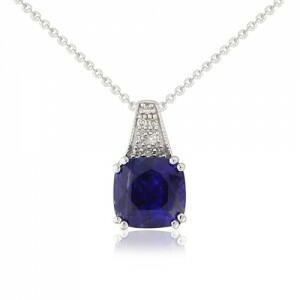 The gem itself measures 7 x 7mm and the whole pendant is 12mm high. It is supplied with a 16 to 18 extendable white gold chain.